Hello Friends, it is a bit wet and dreary where I live. 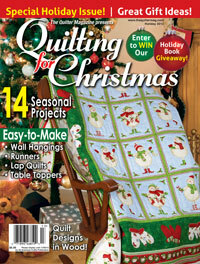 I thought the weather is perfect for me to share with you my “cozy” Christmas quilt, Winter Wonderland, featured in the Holiday issue of The Quilter magazine. 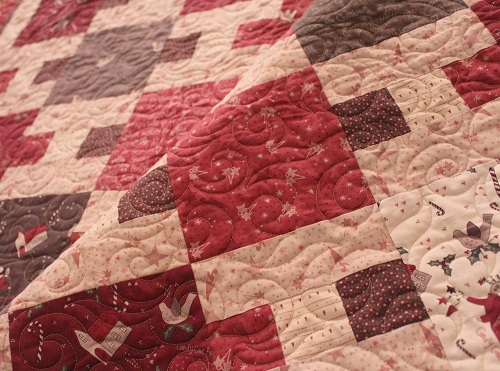 This quilt is really easy, fun and QUICK to construct and finish. 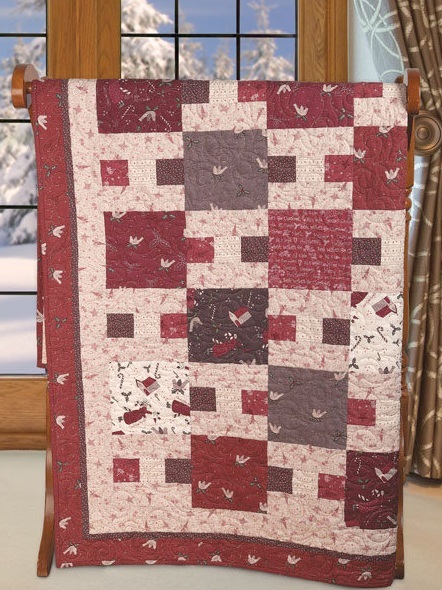 Besides featuring the cute fabric prints, I have designed the quilt with “quick to finish” and “a quilt to use” in mind. 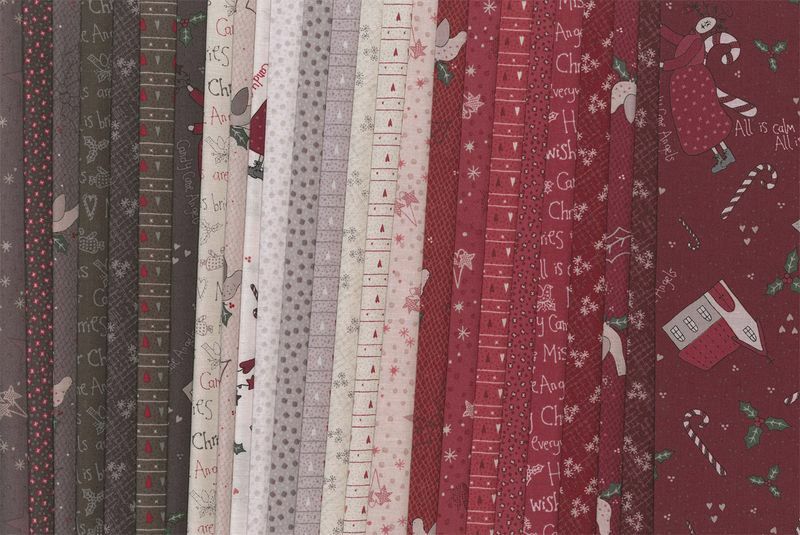 The fabrics used in Winter Wonderland are from Lynette Anderson‘s Candy Cane Angels collection, released by Lecien. 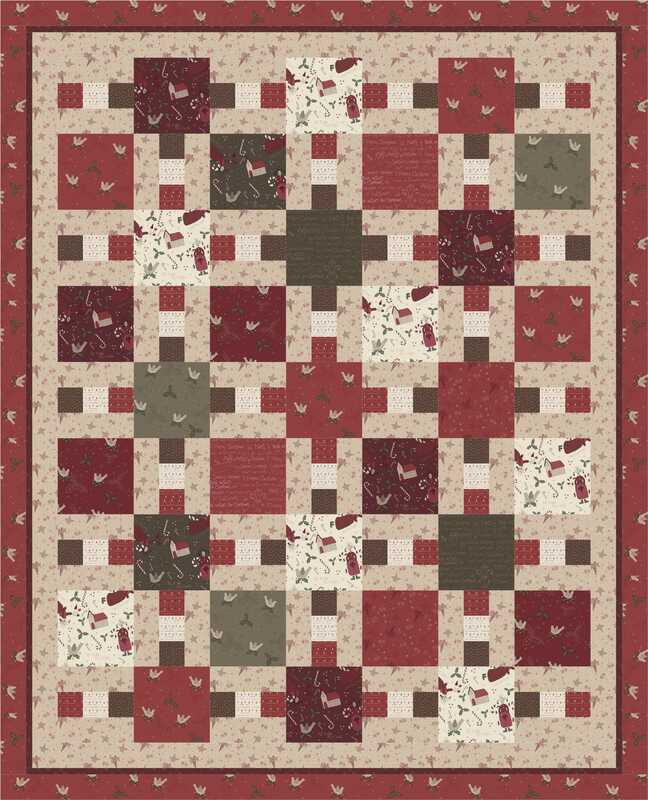 Click here to view the entire fabric range – you simply have to see how cute the focal prints are! 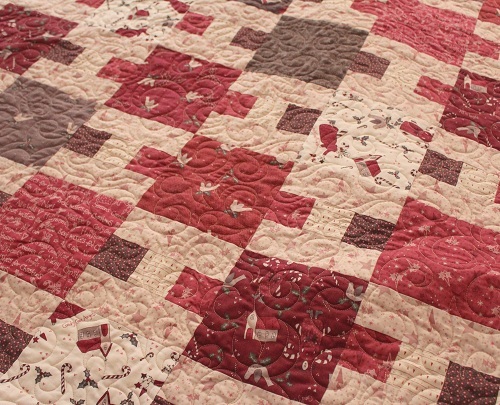 You can purchase the fabrics from Fat Quarter Shop here. 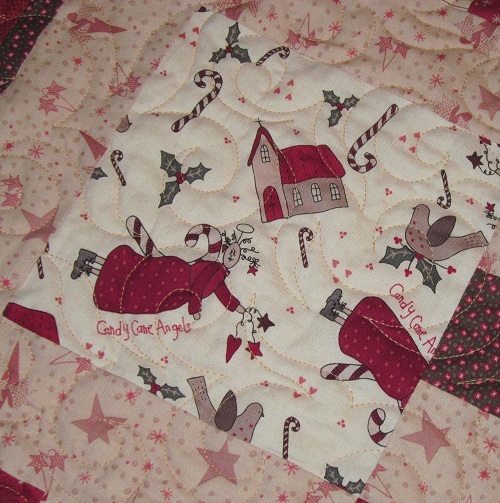 And of course, I had shared with you about the use of gray with the traditional red in this Christmas quilt. I think the gray and red combination adds a certain element of coziness to the overall look. 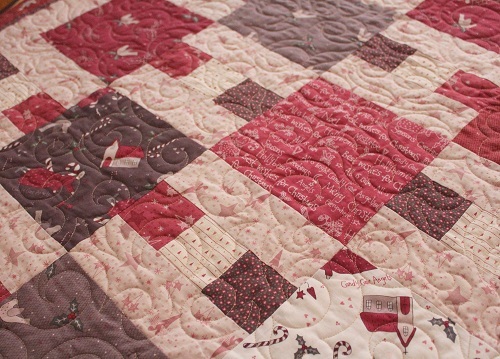 I quilted allover quilting on Winter Wonderland. 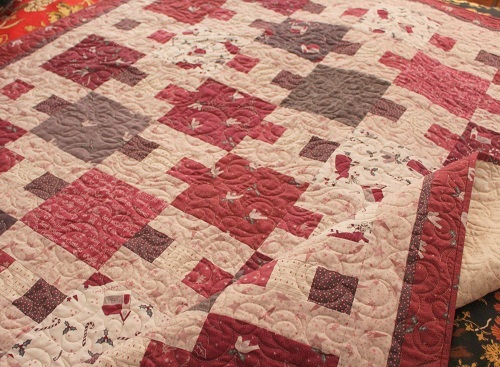 It is a mix of Jester’s Hat and Swirls, using Aurifil Mako 50 Cotton thread over Hobbs Tuscany Silk batting. 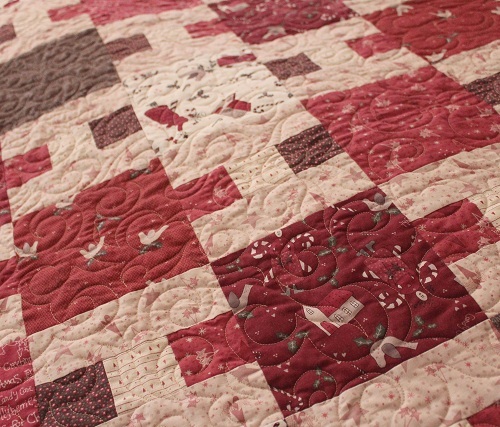 I love how smooth the Aurifil threads are for quilting, they just seem to melt into the fabric – giving the overall quilting motif a soft textured look. I hope you have enjoyed Winter Wonderland. 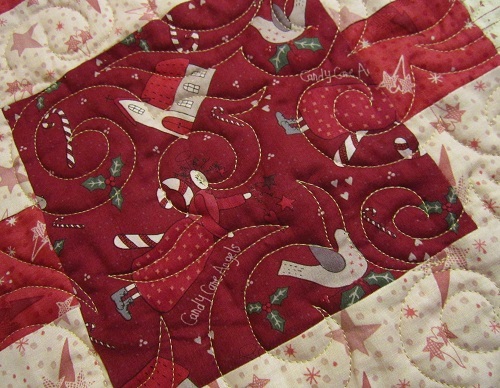 I have one more Christmas quilt to share with you before December is upon us. Meanwhile, I need to go back to work as I haven’t gotten as much done this week due to a cold. :( But with the weather change, ’tis the season to get sick. I shall catch up with you later, Dear Friends! 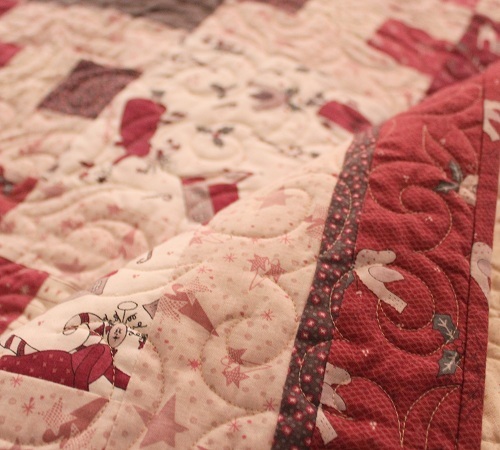 Stay cozy, everyone! 2013 has been a busy year. 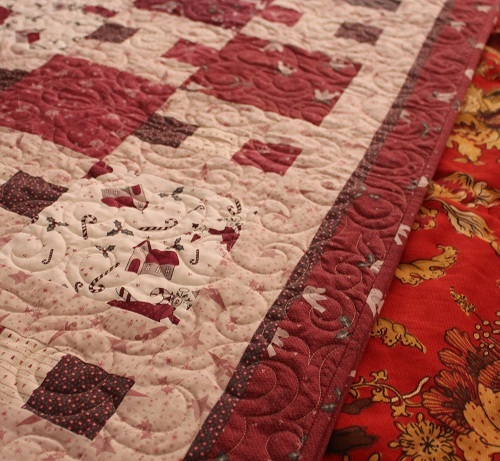 Have you seen my other 2013 published projects?